Raspberry Rainbow: Gift taggy fun. Two posts in one day, insane stuff (for me). 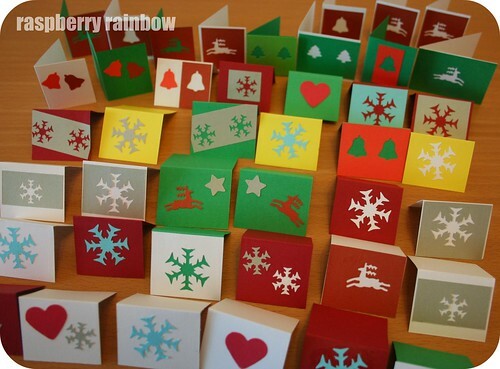 These are some of my finished Christmas present gift tags, which I started a few weeks ago. They are not half as nice as Emily's, hers are absolutely gorgeous, do have a look. I have gift tag envy, that's for sure. My hand made Christmas is slowly coming together.